New Delhi: An Indian experiment may have dealt a decisive, possibly fatal blow to a body of research that aims to arrest global warming by sprinkling iron dust into the oceans. While the results are as yet unpublished in a peer-reviewed journal, the controversial experiment involving a sea voyage to the Antarctic Ocean by a team of Indian and German researchers uncovered a new marine ecosystem that governed the iron fertilization process. The tenor of their findings suggested it to be unviable and requiring more research. The Intergovernmental Panel on Climate Change (IPCC) is to have a dedicated report on the feasibility of geo-engineering to address climate change in its forthcoming report, called Fifth Assessment Report, in 2014. IPCC’s fourth report in 2007 was instrumental in raising widespread public concern over climate change. Already several researchers across the world—including in India—are looking at modelling studies and the feasibility of designing bigger research experiments to better understand geo-engineering. Earlier this month, the UK announced test plans to float a massive balloon in the stratosphere that would spew sulphur particles. The aim of this would be to measure the change in solar radiation over the earth. Unlike ideas of tweaking solar radiation that began to be discussed during the last decade, iron fertilization has been on the scientific radar since the 1980s, when oceanographer John Martin said famously at a gathering of researchers at the Woods Hole Oceanographic Institution, an influential American research organization, “Give me half a tanker of iron and I will give you an Ice Age." Theoretically, the scattered iron would seed a large patch of phytoplankton, a class of marine organisms that live on the ocean surface and, like plants, trap atmospheric carbon dioxide to produce their own food and emit oxygen. These phytoplankton would then over time sink into the ocean and forever bury the carbon dioxide within the ocean. Twelve major research expeditions to various parts of the Southern Ocean between 1990 and 2005 launched to test this idea practically found that though the strewn iron fertilized plankton blooms of impressive size, the depths to which they sank and the amount of carbon trapped varied widely and the method wasn’t reliable. To understand this discrepancy between research estimates, Syed Wajih Naqvi, a senior scientist at the National Institute of Oceanography, and Victor Smetaceck of the Alfred Wegener Institute, Bremerhaven, Germany, headed teams of Indian and German scientists, respectively, in a marine expedition, appropriately called Lohafex (loha being iron in Hindi) in January 2010, as was previously reported by Mint. Their nearly 100-day research endeavour, which was interrupted by protests mounted by German and UK-based activist organizations and earned a reprimand by India’s environment ministry, finally culminated with their ship sprinkling 4 tonnes of iron dust in a 300 sq. km patch off Antarctica’s coast (Scotia Sea). While they did see a phytoplankton bloom—large enough to be captured by the National Aeronautics and Space Administration satellites—little of the plankton’s carbon meal actually made it to the bottom. “The reason previous experiments saw huge plankton growth and carbon capturing was because of a particular species of phytoplankton, called diatoms. And diatoms need silica," Naqvi said. Silica enables diatoms to grow a glassy shield that protect them from predators and thus greatly increases the chances of reaching deep into the ocean. The Indian experiment, which is yet to be formally published in a scientific journal, found that in the absence of silica, there were almost no diatoms produced and a melange of unexpected predators— invertebrates, arthropods etc.— made mincemeat of the plankton booms before they had sunk even a few metres. With over two-thirds of the 50 million sq. km Antarctic Ocean— the preferred test bed for such experiments—naturally devoid of silica, Lohafex suggests that iron fertilization would be futile in most of that ocean. “The remaining third of the ocean is extremely rich in silica and if all of it could be iron-seeded, we could at best be able to remove about a billion tonnes of CO2 (carbon dioxide) per year, under ideal conditions. 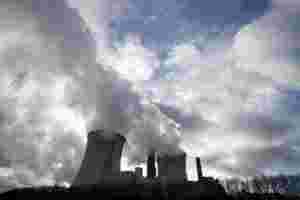 That’s about an eighth of the atmospheric CO2 being added every year," said Naqvi. “Whether we want to do it is the big question." This region of the ocean was also among the most pristine and several conventions such as the Convention on Biological Diversity, an intergovernmental agreement to which India is also party, prohibit large-scale dumping of iron here. Arunabha Ghosh, CEO, Council on Energy, Environment and Water, a Bangalore-based policy research organization, said that at present bioengineering schemes were too risky to be deployed on a large scale. “The problem with geo-engineering is that its associated consequences—of irreversibly altering marine and atmospheric composition—are not well understood." Sanju Gopal of Greenpeace India said that even though the experiment was in a controlled environment, the Antarctic region, being one of the last “pristine" environments, shouldn’t be subject to even experiments of this nature. Independent scientists also said that several other gases were released neutralizing the benefits of trapping carbon dioxide. “The water below the surface moves turbulently and gets mixed up, so any nitrous oxide generated (as a waste product) later could turn up at places where the iron was deposited," said John Cullen of Dalhousie University in Halifax, Canada, in a previous email exchange on the same subject. Ramaiah Nagappa, another scientist at the National Institute of Oceanography, who was part of the expedition, said though the iron-seeding experiment was infeasible, it wasn’t ground enough for completely stopping related research. “We had a bad experience. Permissions for experiments were cancelled midway because of activist organizations. There’s a lot we don’t know about the impact of ocean fertilization on ocean life, but understanding that requires more controlled experiments. Computer simulation can’t give answers to everything," he said. Naqvi, however, asserts that though commercially unviable now, a bigger experiment—at least 10 times the size of Lohafex—ought to be planned. He said that iron and silica may alone not be the players that regulated plankton growth. “I believe cobalt plays a role, too. We would need a bigger experiment to check several things, whether certain times of the year see different rates of growth, etc. But I’m not sure such things will happen immediately." Schemes such as managing solar radiation looked cheaper and more practicable compared with iron fertilization and, because of environmental protests, large-scale funding for more experiments were tough to procure. Still, “with the rate at which carbon is being spewed into the atmosphere, I won’t be surprised if geo-engineering initiatives are actually implemented in the near future, may be not in my lifetime", he said.